Before we start, I just want to remind you that one month from now, the final build of Windows 10 will be delivered to a massive amount of users who currently owns Windows 7 and 8.1, for free. If you haven’t reserved your free Windows 10 copy, head here  to learn how to do it. At this point, you might already know that Windows 10 overhauls the familiar Control Panel. Microsoft has tried to bake most of the popular Control Panel items into the new Settings app. But unfortunately, Screen Saver doesn’t get that attention. It still launches as a standalone window and now harder to find than ever. 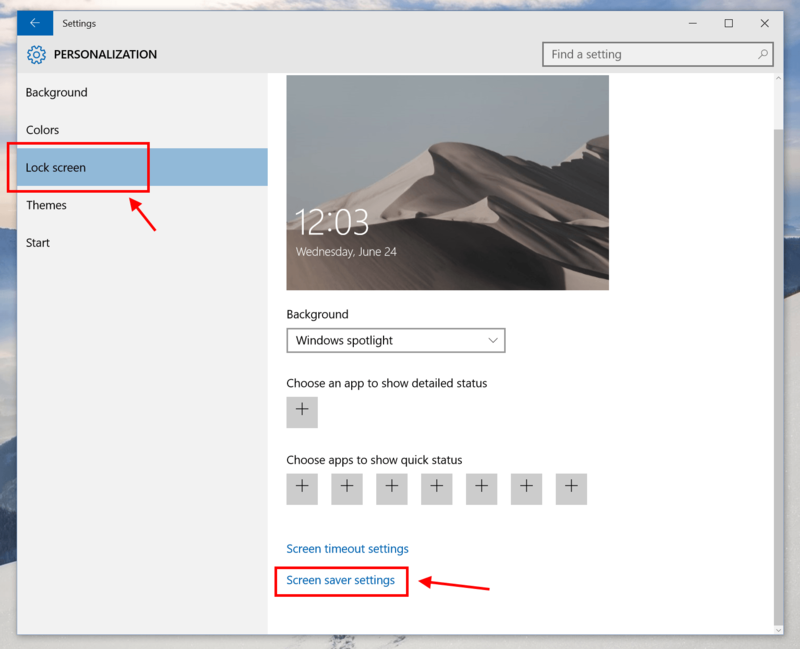 In Windows 10, you won’t see Screen Saver setting in Personalization window like in Windows 7/8.1. It’s now hidden in the new Setting app. To open Screen Saver settings, you first need to right click/long tap on the desktop and select Personalize. In Settings app, select Lock screen on the left. Then on the right, you will see the link “Screen saver settings.” Hit it to open the good old Screen Saver window. So what if you’re in Tablet mode, which doesn’t have a desktop to do a long tap, and lazy to fire up the Settings app to get to the Screen Saver settings? The easiest way is to use Cortana or the search box on the Taskbar (in Tablet mode, it’s a circle icon). 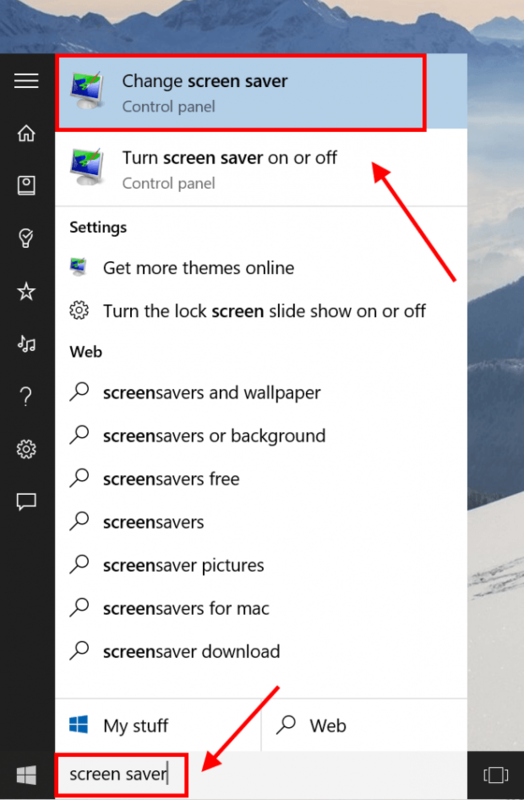 Simply type “Screen saver” into the search box and you’ll get the result that link to the Screen Saver settings.